Designed so beginners can find a project to make their dolls new clothes! 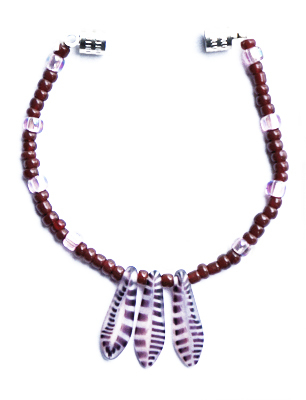 It's good fun to go the extra mile and make wigs, jewellery, hats and bags. Please do not use my photos or any portion of my website without asking permission. Sewing for dolls has been an adventure for me. 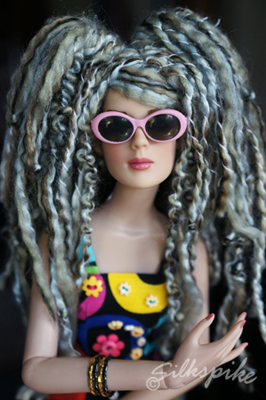 When I show my dolls to people, they always mention the patience it must take to make my fashions. It does take a lot of patience, and a willingness to try, try again. 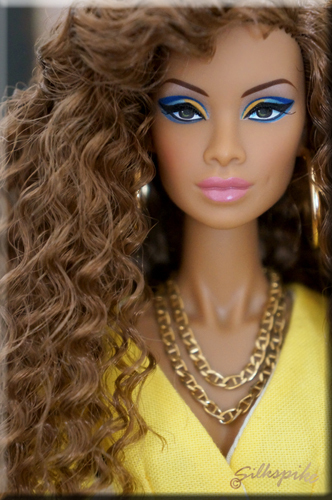 I have found this hobby to be incredibly rewarding because I have always loved fashion dolls, sewing and photography. I hope you will give sewing for your dolls a try. NEW ITEMS: Sewing patterns for little Riley Kish. I am offering patterns for a halter top and jeans in my Etsy Shop. Click my PATTERNS link for more information. I am offering a FREE A-line dress pattern and tutorial here on my site. 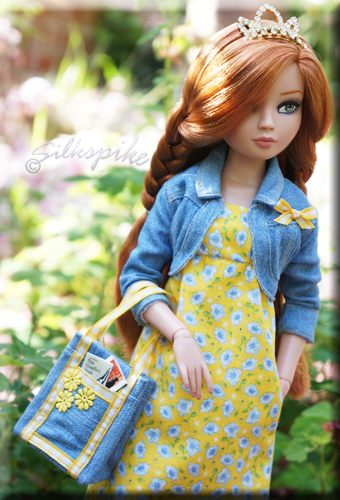 Just click on the FREEBIES link and click on the photo of the Riley doll. 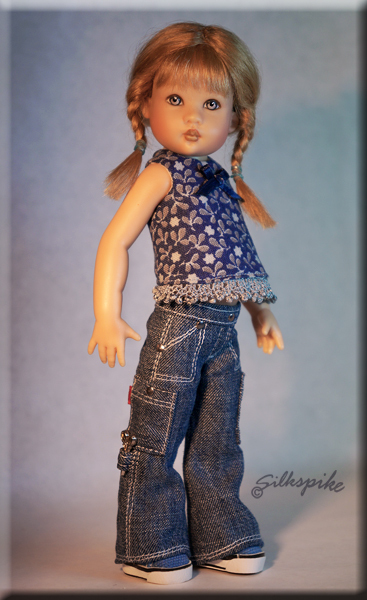 I have also updated my fashions page with photos of more dolls and outfits. - Find the links under the FASHIONS tab. Visit Micki's profile on Pinterest. 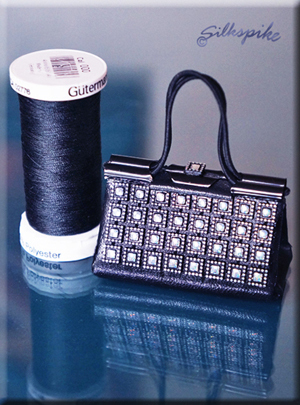 Make your doll a handbag from a binder clip - Click on the photo below to go to my free pattern and tutorial.